Tratturello EV Olive Oil is made in Molise by Francesco Travaglini, an honest, knowledgeable and passionate farmer with his Gentile di Larino olive trees in Molise. 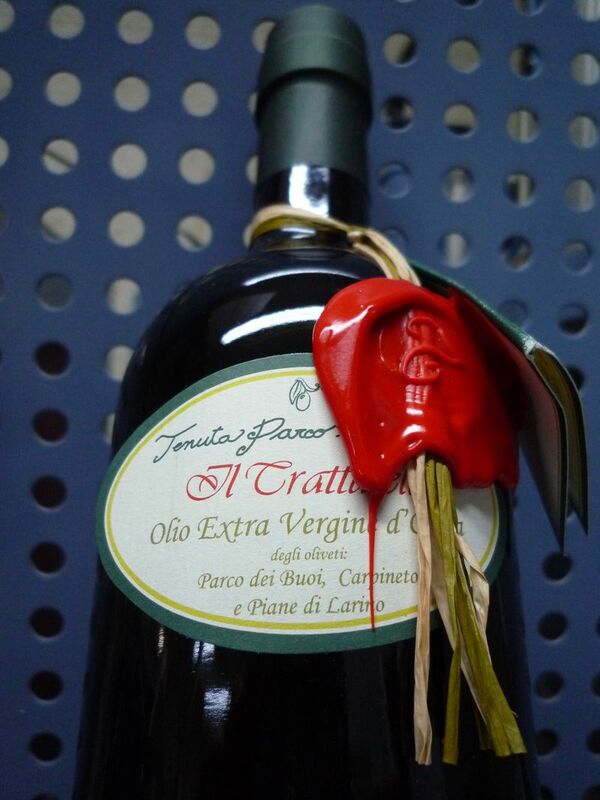 This is the label of Tratturello ev olive oil. Can you see it? Can you see the elegant red wax seal and the exclusive hand written number? Every single bottle of this wonderful olive oil is numbered. Therefore, there is always a number ONE for each harvest. It’s the same oil than in any other bottle, but the number ONE has a different weight. Somehow, it is more important than all the others. Two years ago, bottle nuber ONE went to our newly appointed president Obama via our and his (Mr. Obama’s) good friend Tony Mantuano. Thinking and thinking… we voted several Tratturello worth candidates, we took polls and… Andrew Cuomo won! He won the elections as the next Governor of New York State, on Tuesday Nov 2, 2010 and to be the lucky recipient of Bottle Number One. With all our wishes of a peaceful, successful mandate. Previous Post Exquisite Thanksgiving with Gustiamo Gifts – And Thanks. Next Post Panettone and Pandoro. And the Special Thing Stefano Does to Them!